Google Voice is a online telephony service from the web search giant that allows users to make, receive, or forward calls, as well as text messages and voicemail. The web-based service initially began as an invite-only platform but has now been integrated as part of the Google Hangouts service. If you don’t use Google Voice or one of the alternatives, you’ll probably find yourself dealing with annoying callers when doing business on craigslist, or people using your phone number to look you up on social media. 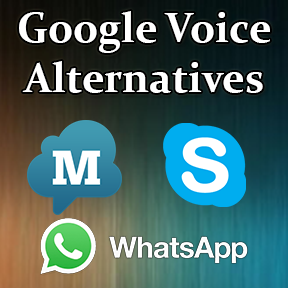 If you are a current user looking for Google Voice alternatives or you would like to find any similar products then this post is for you. Part of the popularity of Google Voice comes from the fact that users’ phone numbers are not tied to any device or location and can therefore be accessed anywhere at anytime. In addition to this the service also provides voice transcripts of calls, call blocking, a US-based number, conference calling and much more, – all for free. With so many features, Google Voice is rightly popular with a lot of users, but are there any Google Voice alternatives available that are just as good? In this post we will take a closer look at some similar products that users may be able to choose over the search giant’s telephone service. By far the most popular Google Voice alternative, Skype is a free VoIP telephone and instant messaging service. Users are able to make video and voice calls, send text messages, and call landlines at reasonable rates. The popularity of the service comes from its availability on desktop PC’s, smartphones and tablets, and even on the Kindle Fire HD and PlayStation Vita handheld console. In addition to being able to add contacts from your email address book, Skype users can also search for contacts in the Public directory using an email or number. Features include unlimited free voice and video calls, instant messaging, and the ability to share pictures, web content, or recorded calls. All these features make it easy to find, add, and communicate with friends and family or new contacts as well as easy availability on a variety of platforms. The MightyCall service is perhaps the communications solution that best matches that of Google Voice, although not all its features are free. Best suited for small business, the service also caters to individuals with features such as virtual toll-free numbers that are available worldwide in addition to personal numbers. MightyCall users also enjoy the ability to divert any calls to their virtual number on the service, have additional users with their own extensions, and remote call handling. There are also iOS and Android MightyCall apps that allows for call number integration, easy management of contacts and phone calls. If you are looking for a second phone line to use then the Line2 service may be the best Google Voice alternative for you. This VoIP-based service is an app that offers unlimited texts and calls over WiFi on your existing phone number. The Line2 app supports full multitasking, such as taking calls while working on something else, group calling, and call forwarding. Another outstanding feature from the service is the ability to switch from WiFi and your cell service as required. Line2 is priced at $9.99 per month with additional features such as softphones for PC and simultaneous ringing of multiple phones (similar to Google Voice’s) available at an upgraded price of $14.95 per month. Phonebooth is an online-based telephone service that allows users to reroute calls to any mobile or landline number of their choice. 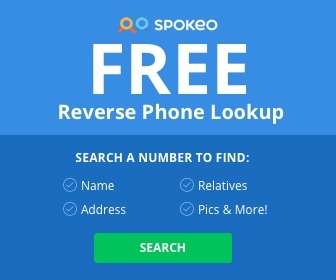 There is a free version of Phonebooth which offers a free local phone number, 200 free minutes of inbound calls, transcripts of up to 50 emails to voice or text, and a contact widget for your company website. The Phonebook service automatically routes calls to your private number and they can also be controlled by an automated voice tree system. Additional features such as unlimited nationwide and international calling, conference calling, round the clock tech support, and details of call records are available on the paid version of Phonebook. WhatsApp is one of the most popular texting applications with millions already using the service worldwide. Having been purchased by Facebook, upgrades to WhatsApp now allow for calls over the internet between app users. Additional features available on the service are messaging features such as sharing videos and photos, your location, and user-to-user communications. Despite its huge user base, WhatsApp’s disadvantage is that communication is only possible between users who have downloaded the app. This means that landline or calls to mobiles that do not have the app installed are not possible through WhatsApp. With the integration of Google Voice into Hangouts, users of the service may be considering moving to a different service that offers similar features. The above apps and services all provide all or some of those features, and although some do it for a monthly fee they are a good place to start looking for Google Voice alternatives.